The no obligation telephone consultation service applies to both residential and business customers in the South London region. No bee problem or bees nest removal job is too big or too small for us to consider. Where appropriate we are able to advise on any urgent action needed to safeguard your health, property or possessions prior to a visit. 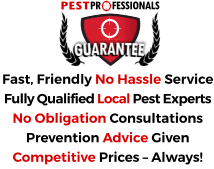 If a visit is called for we let you know if there will be a call out fee and also advise on the probable costs of any bee removal should it be needed. Bees form intricate social colonies with a single fertile queen and are an extremely valuable pollinator. Because of this our first priority as pest controllers when bee’s nest removal is required is to keep the bee hive alive and intact. The key is to find an experienced beekeeper who will take on the bee hive and look after it, and we can usually assist in this process. Worker bees form the vast bulk of the colony and their numbers can make it to over 30,000 in the height of the season. Some workers remain with the queen to tend her, nourish the larvae, produce honey, create new wax honeycombs for the larvae and defend the nest. More mature workers go out from the nest in the search for sources of nectar and pollen. The queen may lay a million eggs in her lifetime. Bees are generally not considereded pests and (unless provoked) will not attack you. The sting of worker bees is barbed and can not be retracted, and carries a poison sac which continues to pump venom. A tiny minority of people are hyper allergic to this venom and if a hive is in close proximity to people, for example, nearby to your house, or even in it (chimneys being a prime candidate), action may be required to move it. This should only ever be undertaken by an experienced pest controller or bee keeper, each of whom will wear special protective clothing. Eradication is really a last option for a pest controller, and will depend on his ability to remove the honeycomb and/or seal the nest shortly after the work is done. There is a big danger of secondary poisoning if robber bees access a previously poisoned nest and carry the insecticide back to their home colony. Both bees and wasps are members of the Hymenoptera order of insects, but they can be readily distinguished from each other. Honey bees are usually dark brown, with a pale orange/amber band and, importantly, they are hairy. Wasps have bright yellow and black stripes and have a narrow waist and smooth skin. 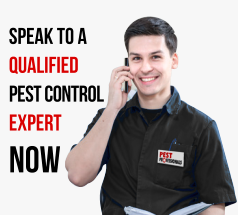 If you require sound advice or a speedy solution to bee problem or a bees nest removal anywhere in South London or the nearby Boroughs – get in touch.